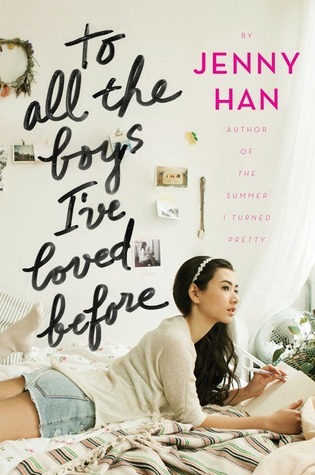 A few weeks ago I decided I was going to binge read To All the Boys I’ve Loved Before by Jenny Han, the entire trilogy. We didn’t have a lot going on that weekend, and I’ve really been wanting to read the series, especially with the new Netflix movie coming out. So I set a goal: read all three books before the end of the weekend. I’m happy to say that not only did I reach this little goal, but I really enjoyed the books as well! 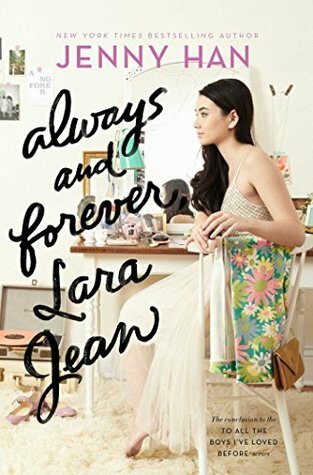 Lara Jean is such an adorable and fun character to follow as she navigates teen-life and crushes. Sure, there were points where I was frustrated with choices that she made, but that’s what made her likeable and much more real to me (I was not a well of wonderfully thought out decisions when I was her age either). She was so relatable too! I didn’t go out much in high school and I only had a few close friends so I felt like I could really understand her in that regard. The romance was super cute. I’m going to try not to spoil anything, but read at your own risk! 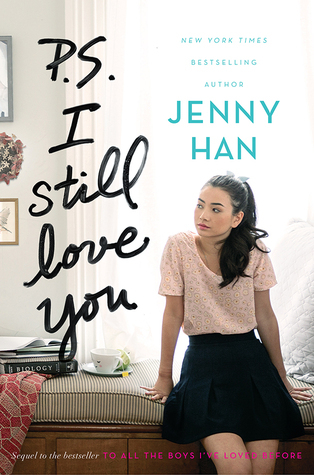 I love how Jenny Han wrote Lara Jean as such an independent character. When it comes down to the final book and Lara Jean has some choices to make, I love that she weighs her own feelings into the decision making. So many times as teenagers we’re told opinions of the adults surrounding us and made to feel like we don’t know what is best for ourselves. (At least that’s how I felt at that age). But I love that while Lara Jean is given advice, she is still expected to make the decision for herself and do what makes her happy. I think my favorite thing about these books though, is the relationship between Lara Jean and her sisters. Their mother died only a few years before the book begins, so the girls really formed a beautiful, unique bond. The oldest sister, Margot, has taken over the “mom” role and has always made sure the grocery shopping is done and dinner is on the table. Now that Margot is going away to college Lara Jean and her youngest sister, Kitty, have to find their new dynamic without Margot. Of course their dad is still there and is wonderful as well, but he works as an OBGYN and is working much of the time. Sure, this story is about Lara Jean’s crushes and I enjoyed the romance parts of it, but the family relationships are what really warmed my heart about the whole story. If you haven’t read this series yet, and are a fan of YA contemporary/romance, get yourself a copy and read it! It’s fantastic! And then you’ll be ready for the movie when it hits Netflix on August 17th. There is something incredibly satisfying about reading a book series back-to-back. Cliffhangers? Not ready to leave the characters? No problem, just pick up the next book! Because this little experiment worked out so well, I plan to make this a regular segment of my blog! When a free weekend comes up, I’ll try and knock a series off the TBR by binge reading it and then writing about it! So glad you enjoyed these, great review! I just watched the movie too and I ADORED it. So freaking cute!